GiD is a universal, adaptive and user-friendly pre and postprocessor for numerical simulations in science and engineering. 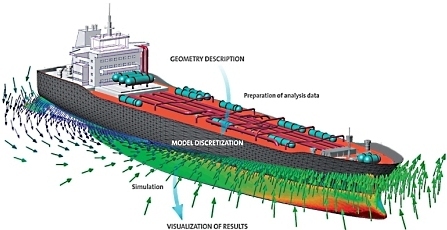 It has been designed to cover all the common needs in the numerical simulations field from pre to postrocessing: geometrical modelling, effective definition of analysis data, mesh generation, transfer data to analysis software and visualisation of results. Start now using GiD 13, latest stable version is available here. Discover what's new in latest versions here. Feeling lucky try the newest features, try the developer version here. Discover GiD+: is a collection of computer simulation codes attached to GiD in the form of modules. It also includes interfaces for existing simulation programs.